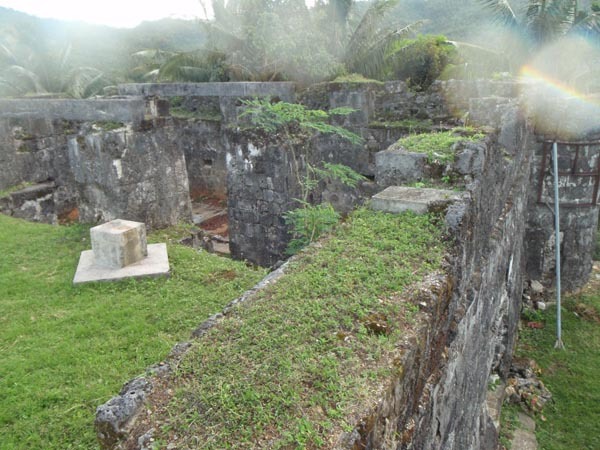 Elevated on top of the north side hill overlooking the harbour, Fort San Andres is strategically located to guard the town against the enemies, against pirates, and also to reinforce the Spanish dominance on the general population during that era. 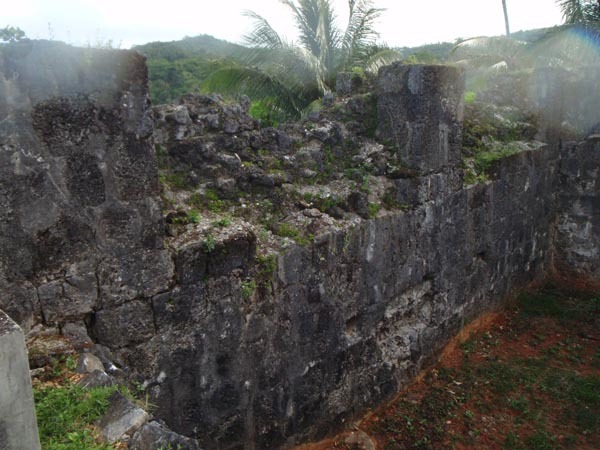 An ambitious P500,000 restoration and site development project is underway to bring the ruins back to its former glory. According to the town sign on Freedom Park, its completion date is December 2012. 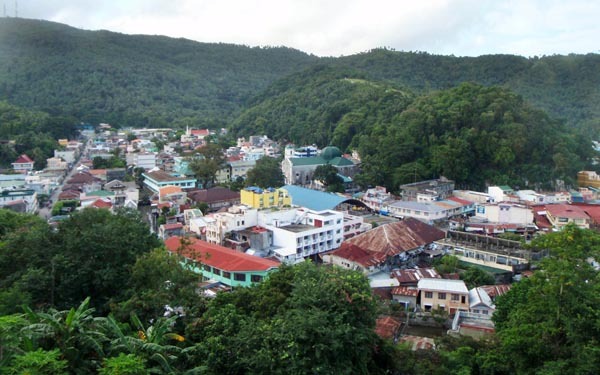 From the town itself, you could see the fort looming high on the hilltop. 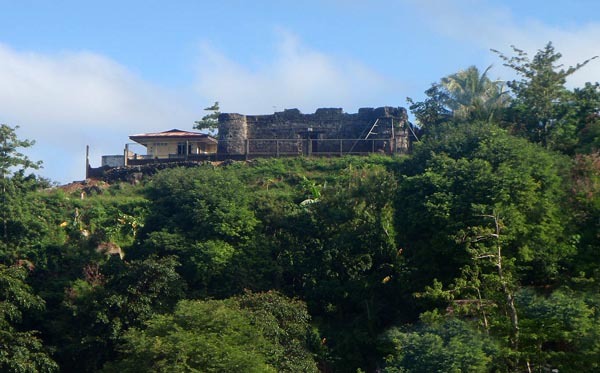 The steps leading to the fort is within town - no need ride a tricycle. 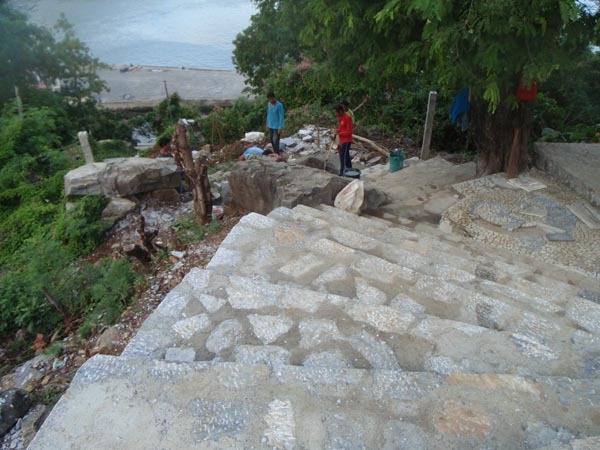 Frenzied work was happenning on the steps (not part of the restoration project). 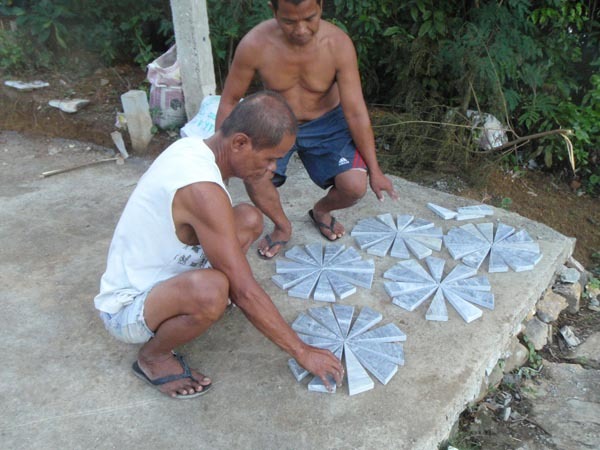 In preparation for the January town fiesta, the marble artists are decorating the landing steps with their own rendition of Romblon - in marble of course! 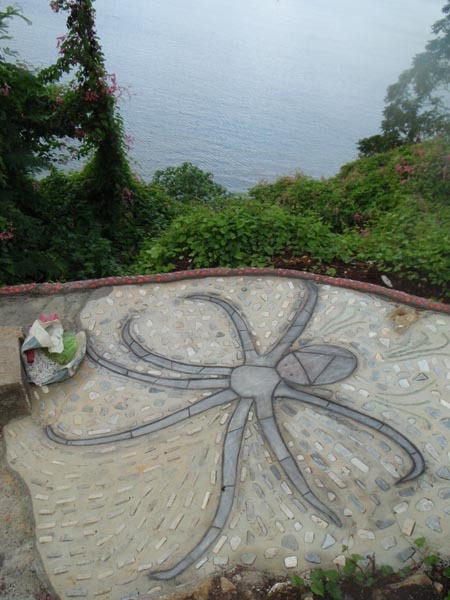 The designs are mostly mosaics depicting sea life and local on-goings. It would be exciting to see the steps once all the artistic work is done. 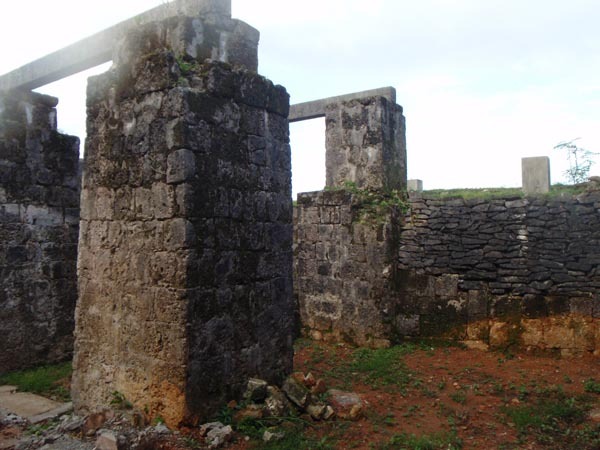 When I reached the top, the surrounding area outside the fort wall is fenced-in with the main fort door padlocked. 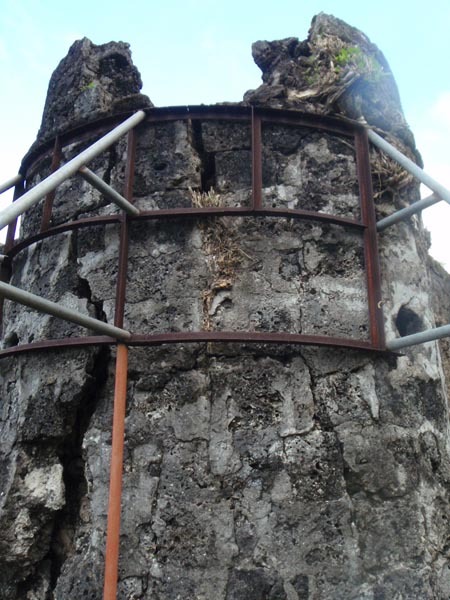 The outside structure is supported in some places by steal reinforcement, specially the corner tower. 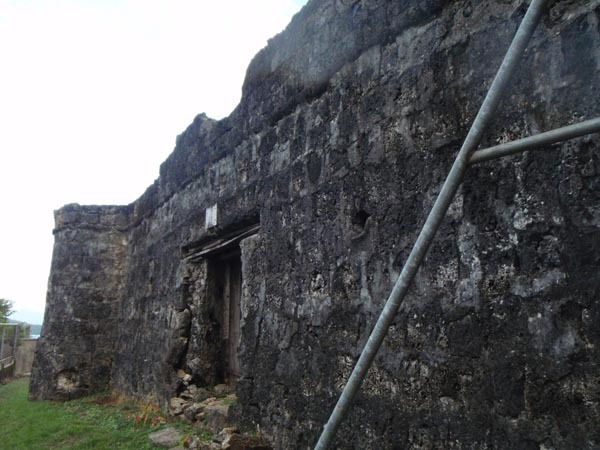 Fortunately, the caretaker allowed me to go inside the fort after explaining to him that I plan on writing a story about this place. What I realized is that it's already close to December, the supposed completion of the project. However, the restoration is far from done. In fact, there was no activity going on. 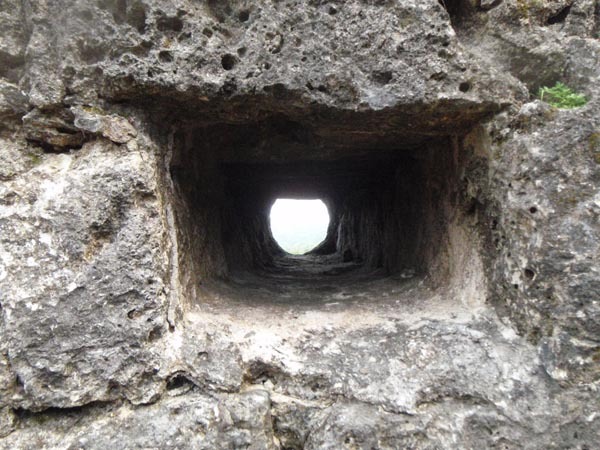 The feel inside the confines of the fort was vault-like. 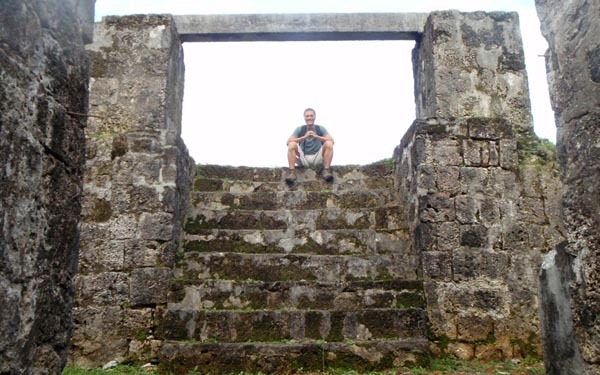 The massive square columns were there to withstand a siege or perhaps a local revolt? 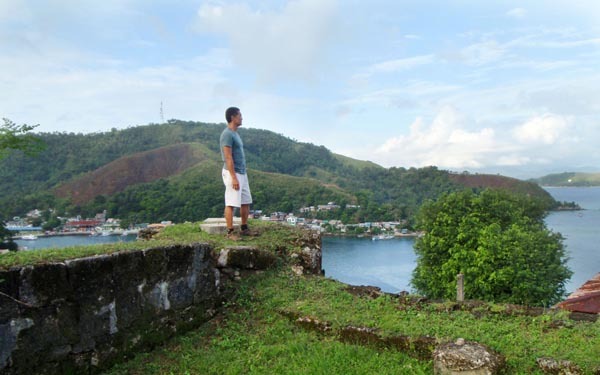 On top of the tower, a spectacular view of the harbor could be seen. Well, that was the whole point of the tower anyway - to see the oncoming enemy. I'm not sure if it would be allowed, but an afternoon picnic when the sun is more forgiving, would be pleasant where you can have the scenic background with good eats and hot cocoa! 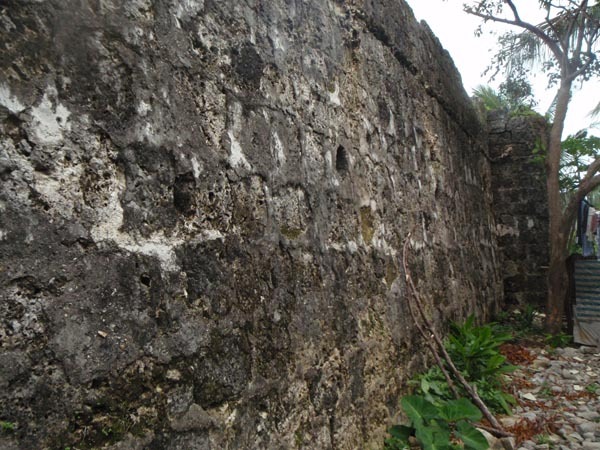 For now, it's a waiting game until the restoration project is completed and the locals and visitors get a glimpse of Fort San Andres' former glory. 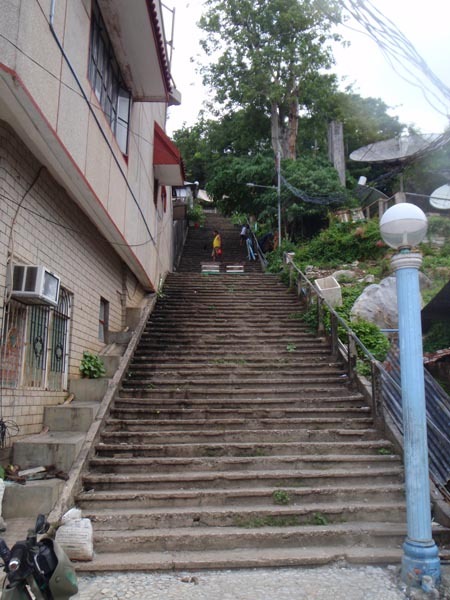 the steps leading to the fort is within town, a very short walk from Freedom Park. Everybody knows about it. Just ask around. No fees.